The choice of material and design have a significant influence on the sound quality of speakers and amplifiers. The listening experience depends on several factors. 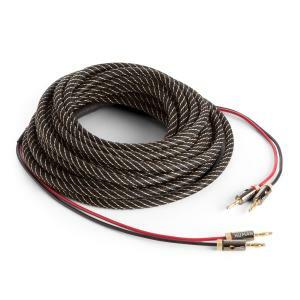 A speaker cable should, therefore, be as short as possible while, the cross section should be as thick as necessary. The high-quality NUMAN speaker cable is suitable for professional use in home cinema and HiFi systems and is made to audiophile standards. The strands consist of an oxygen-free full copper with 99.99% purity. The highly flexible coating makes it easy to lay the cable and is, therefore, manufactured to be durable and long-lasting. 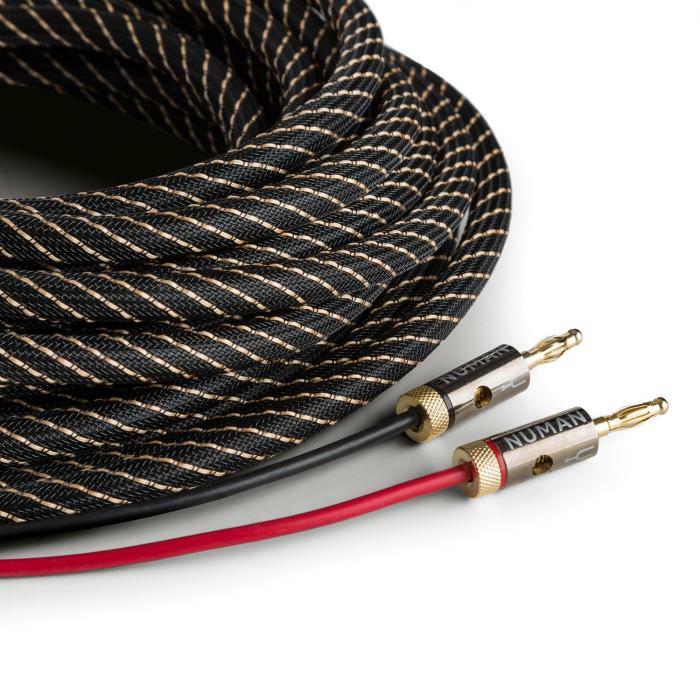 The pre-assembled cable is equipped with banana sockets and the 24 k gold coating ensures a secure connection without any trade-off in the sound. The result is brilliant conductivity with low resistance, which provides an uncompromising and detail-rich sound quality. Please note that no instruction manual is included with this product.